Sony Michel could make his NFL debut Sunday. The 23-year-old running back has progressed in his recovery from a knee injury, according to a report from The Athletic. He may play in the Patriots’ AFC Championship rematch with the Jaguars on Sunday, the report says. Sony Michel (knee procedure) made a lot of progress this week, to the point where he gave himself a chance to make his NFL debut tomorrow, per source. Nothing definitive yet, but the progress has been encouraging. Michel originally suffered the injury during training camp and underwent a minor procedure to drain fluid from his knee. He missed the entire preseason as well as New England’s season-opening 27-20 win over the Texans. 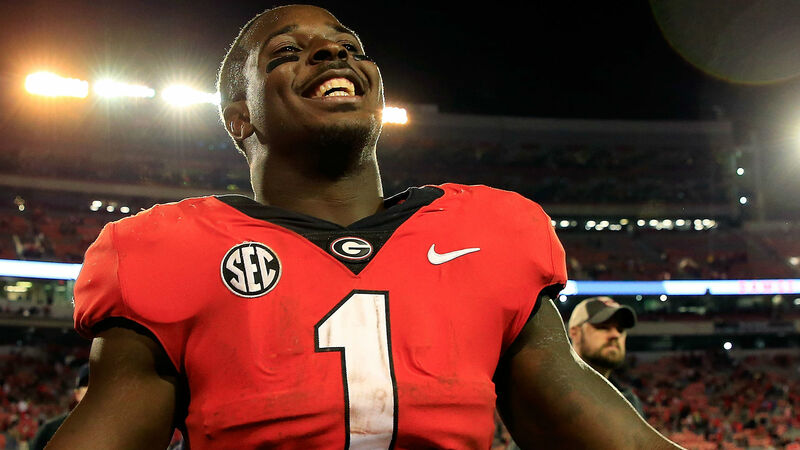 Michel was selected by the Patriots out of Georgia with the 31st pick in the 2018 draft. He rushed for 33 touchdowns and added six receiving scores during his four seasons with the Bulldogs. New England running back Jeremy Hill tore his ACL in the win over Houston and is expected to miss the rest of the season. The Patriots signed former Oregon standout Kenjon Barner earlier this week.